Give Hair An Illustrated Look. You can add an illustrated look to hair by using the Accented Edges filter. You can find this under the Brush Strokes options in the Filters Gallery. 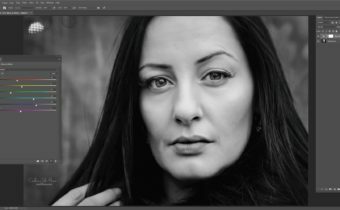 Once you have an effect that you are happy with use a Layer Mask so the effect is shown only on the parts of the image you want (for instance, just the hair). 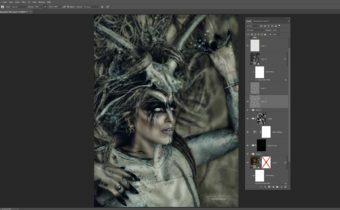 In this tutorial Caroline shows how to use the Auto FX Mystical Photoshop plugin to create some wonderful lighting effects. Using the Accented Edges Filter. Lighting effects with the plugin AutoFX. 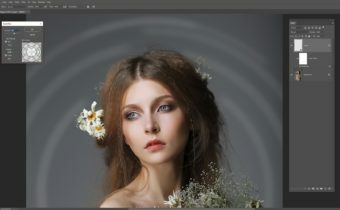 Where will I find the Tutorial Resource File so I can download the Action you used in this this piece ?